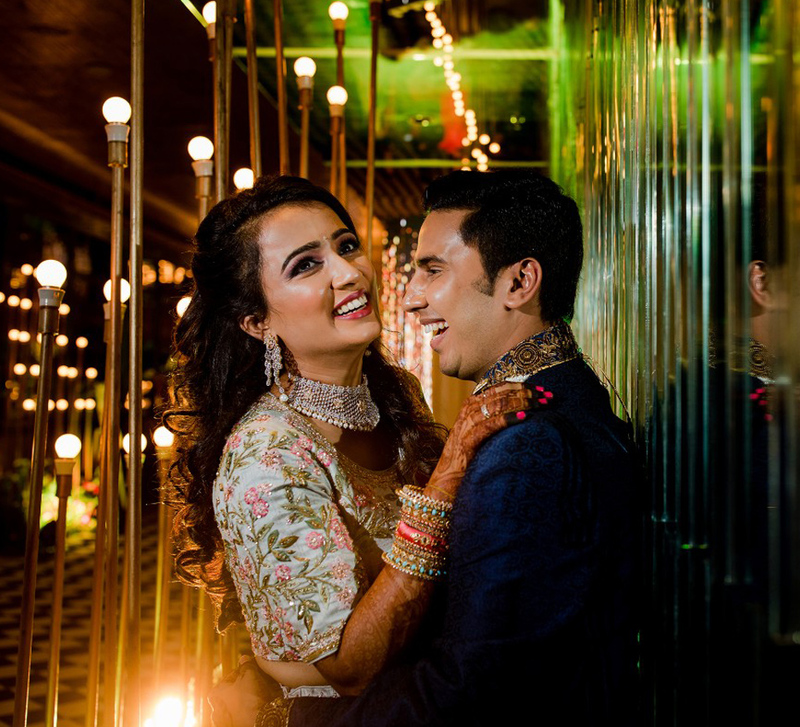 Bharat and Mili's intimate wedding celebrations in Singapore were elegant with their choice of sophisticated decor and charming venues. 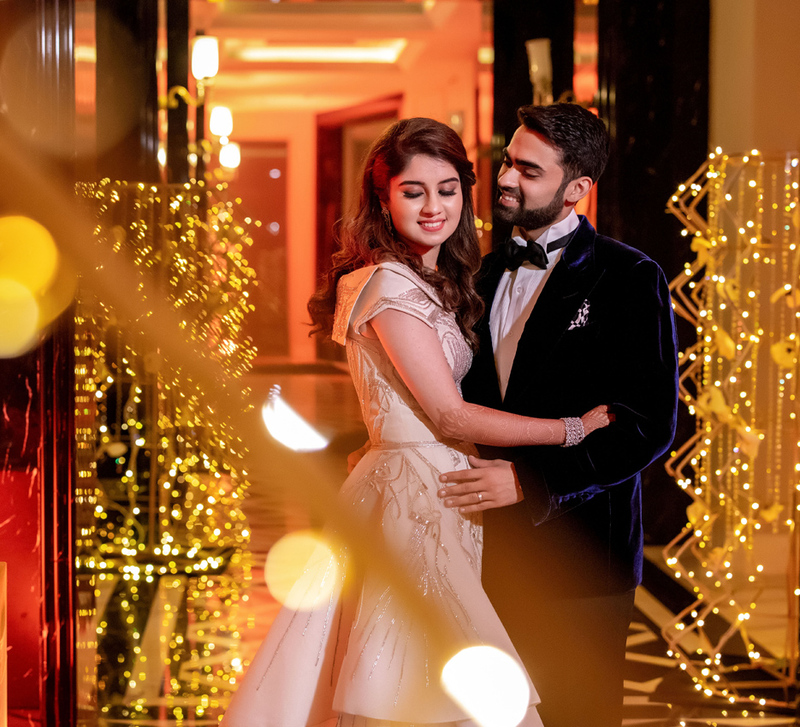 The glow of chandeliers, glitter of lights and gorgeous aura of floral profusions all came together to create mesmerizing environments for Mili and Bharat's intimate wedding in Singapore. 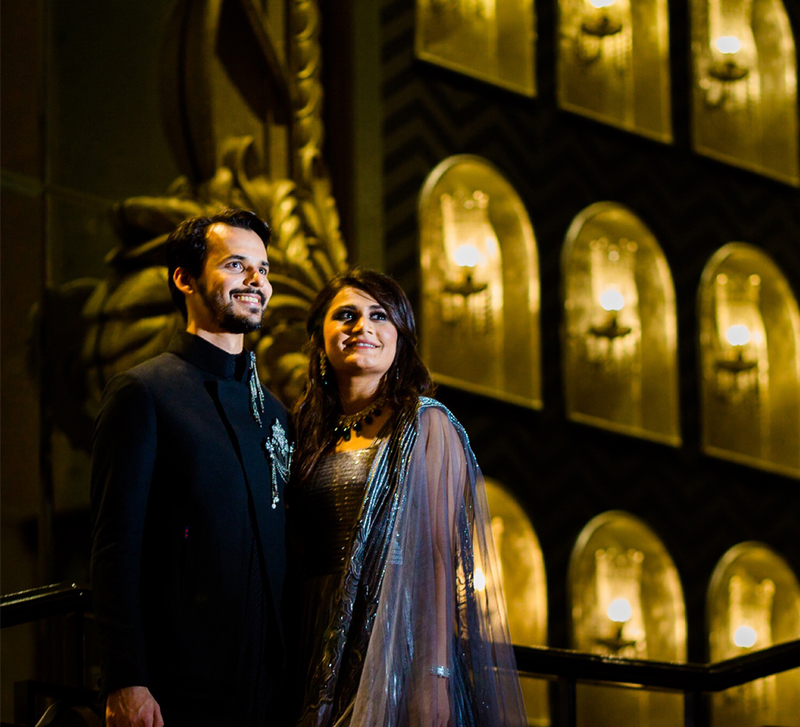 The main ceremony, which took place in the impressive Tower Ballroom of the Shangri-La Hotel in Singapore, was planned by WeddingSutra Favorite – Impressario Inc. Take a peep into the classy celebrations here. Ideal for small occasions, the Shangri-La Hotel Singapore, easily accommodates 300 guests. This was perfect for the couple who wanted a more intimate setup and so they went ahead and finalized it for the main wedding ceremony. The white, pristine furnishings of Clifford Pier which also has a unique dome-shaped ceiling with arches and chandeliers also caught the couple’s attention. They were won over by its minimal decor, classy centerpieces and floral arrangements and booked it for their reception. 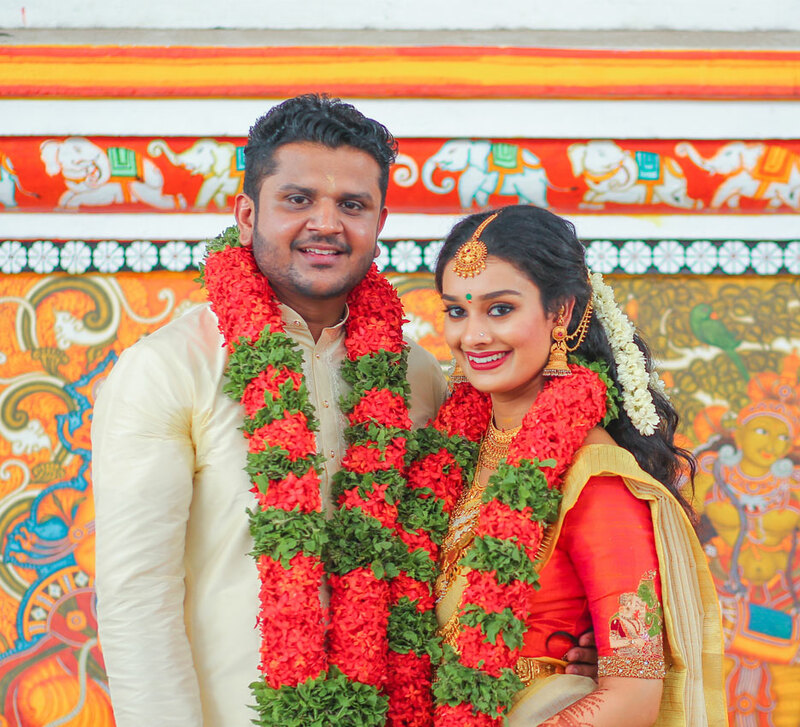 Dressed in a regal orange and powder pink lehenga, Mili looked perfect on her big day while Bharat looked like the erstwhile maharaja in his ivory sherwani. He made his entrance, escorted by his baraat while the guests were mesmerized with Mili’s entrance as it made for a beautiful spectacle when she entered under a floral canopy carried by the male members of her family. The mandap, which was set up in the Tower Ballroom of the Shangri-La Hotel, was decorated with charming flowers all around the frame, which added an ethereal touch to the whole setup. Everything created was bespoke, from the bride’s ensemble to the groom's outfit. The decor complemented the contemporary and chic setting of the venue. White and gold tones blended beautifully together, and the floral profusions added a magical vibe to the decor, whose highlights also included gorgeous centerpieces and chandeliers.